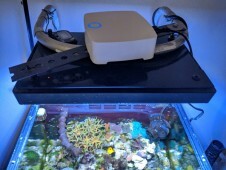 Sharing how I maintain my reef aquarium, going on 22yrs! Patience and consistency in a simplified way to keeping a successful reef. Over the years I've kept the smallest of a 45g to a 150g. No more than two aquariums at a time. Many ask why not get a bigger tank? Well, for me it's the maintenance and the volume of water. Not over 200g works for me as it's just a more manageable system if something goes wrong. I do a 20% monthly water changes. As far as the salt mix I'm not pickey. Right now I'm using Reef Crystals and IO. I combine these two when mixing as it gives a combo of supplements to my system. Example when making 40g I mix 4 cups of RC the rest IO. I agitate the water for 24hrs with a heater so that all salt is dissolved. Any bacteria FYI Dr. Tims or any nitrifying bacteria while mixing is I think a great way to condition the water. 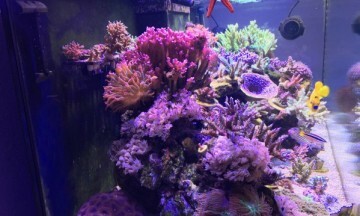 I use water from my tank for bacteria import after the salt is added I put 1/2 gallon of my tank water to the makeup water just to the water “going”. For dosing I have used many two part additives but find ESV B-Ionics is very concentrated so it lasts longer than the others I've tried including Kalkwasser as a top off. Sometimes I mix a "slurry" solution of kalkwasser and pour into the sump just to give the corals a boost. 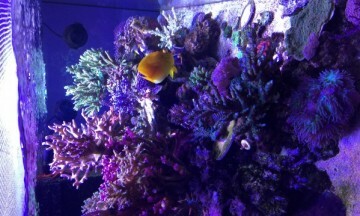 With a sps dominated reef system I dose 135ml daily of Ca and Alk, I dose Mag once a week 40ml. I do not use dosers I do not have a *Carx (calcium reactor) I have used dosers but for me it was just another thing to check making sure the dosers were not clogged or not getting stuck or just something not working. *Carx, thought about it but have too many friends in this hobby that all is going well then the reactor went feral...Lol. Burned and lost the majority of their corals. Dosing manually works for me as I have control over and not an automated mishap. Here's a list of additives i use in this system. Amino Acids right now I use acropower twice a week 25ml. Aquaforest Pro Bio S, 3 days a week, this really helps to import good bacteria to extract the bacteria causing algae, diatom blooms etc. This product is great by breaking down phosphate and nitrate spikes….naturally! The skimmer works by combining and pulling out so it's not circulating in your system. Plus 1 for a good skimmer! (thick skim mate= cleaning often. I do not want to over dose this product because it works so well). Phosguard reactor using bio pellets and or GFO. I replenish once a month by adding pellets to the reactor and taking out what has dissolved. Having a heavy stocked system and I’m a heavy feeder..
Daily, weekly check--- I make sure the skimmer cup is cleaned, all pumps are maintained, reactor checked, glass cleaned. Routinely making sure all components are working to their fullest….very important OCD trait to have in the hobby Lol. For my lighting I run 3 Radion G3 Pros. 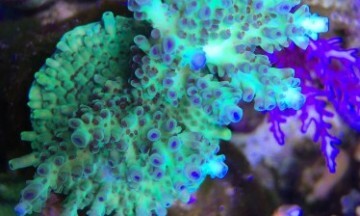 Many corals in my system have been with me since the day I started the reef hobby. 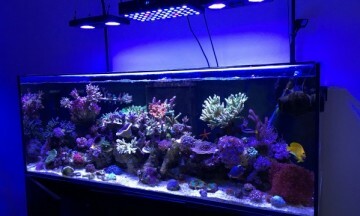 I can't say it's all been perfect but I can say that if a problem occurs act on it as quickly as possible so that your system will not reek havoc on your corals, fish etc. or any other unforeseen issues that can cause a system crash. Taking responsibility of your reef will benefit happy sea life and you! 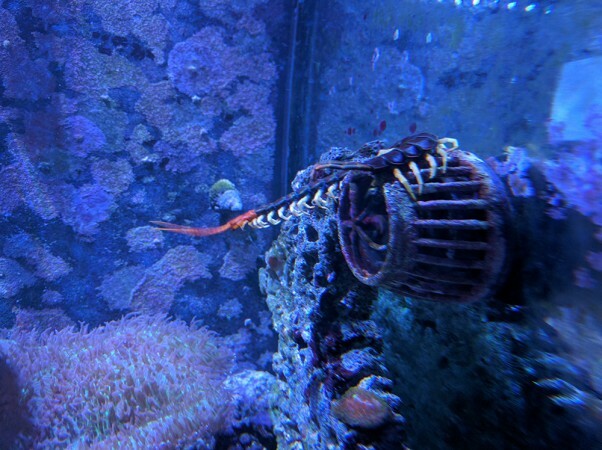 Thank you Tony aka Tank Facts for introducing my reef aquarium. 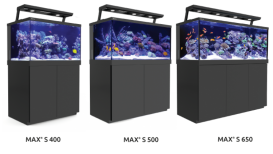 Tank Facts is a great site for the Aquarium hobbyst!